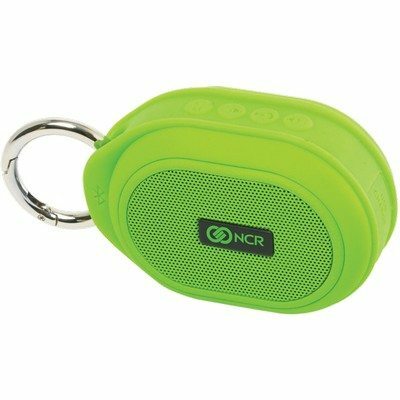 This branded RoxBox Capsule Bluetooth Speaker includes a micro USB cable for recharging. TruColor™ Direct Digital Print technology is a unique patent-pending digital print process that allows you to print your logo in vibrant color directly on to this item. There is no limitation with the logos, artwork or colors that can be printed with TruColor™. Impress your clients with how vibrant their print can be, whites are bright, yellows and reds will pop. TruColor™ technology has the capability to print standard one color or multi-color logos, photorealistic, multi-color logos with tight registration and logos with half tones or gradients. 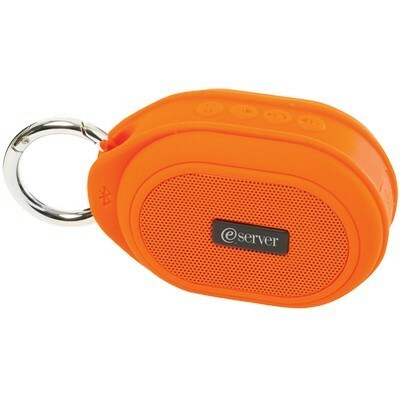 Groove to your favorite music minus the tangles of wires with the RoxBox Capsule Bluetooth Speaker. 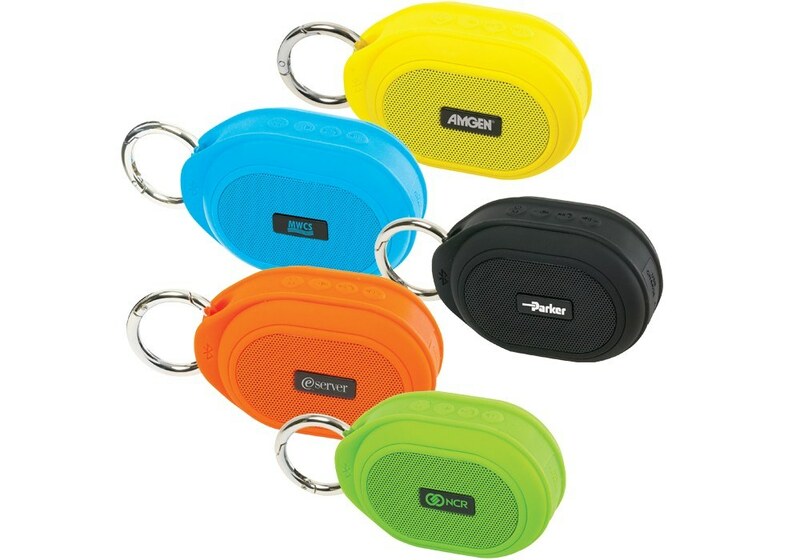 Imprint your company logo on the casing to gain extensive visibility for your brand. 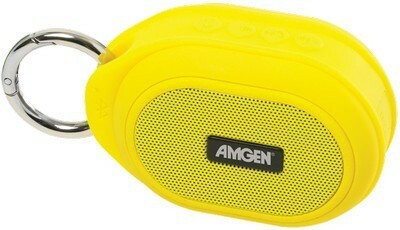 This 3 Watt speaker connects using A2DP Bluetooth V2.1 EDR and has an IPX4 water resistant rating. 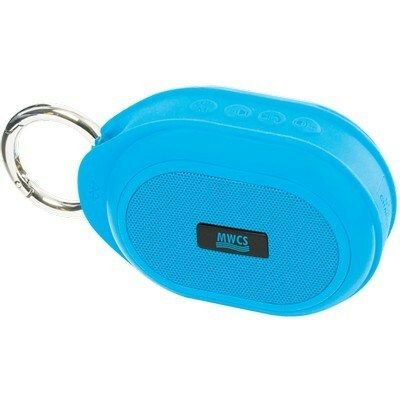 There are 4 easy to use buttons on the top of the speaker: Power/Mode button, volume-/previous song, play/pause/hands-free and volume /next button. 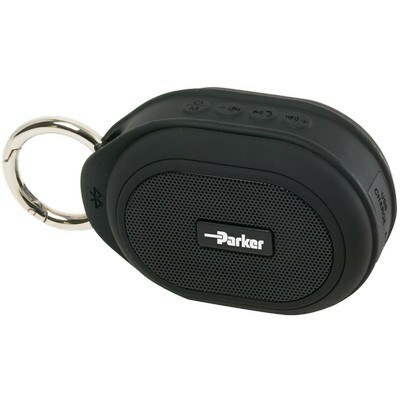 The Bluetooth functionality operates up to a range of 33 feet. It has up to 4 hours of play time and requires 2 ½ hours of recharge time. 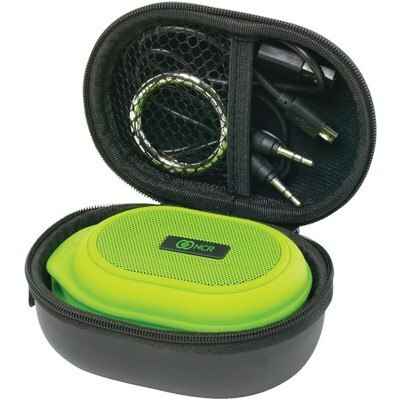 It includes a micro USB cable for recharging, 3.5mm audio cable for non-Bluetooth devices, removable carabineer and user manual all packaged in a compact black PU carrying case. 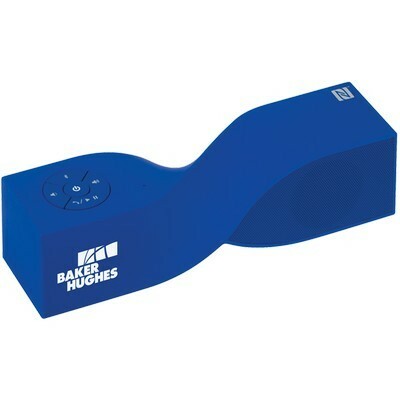 These handy speakers make great gifts for the music lover in your circle. 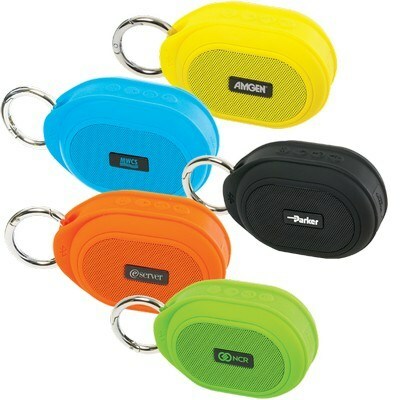 Make heads turn and feet dance with the RoxBox Capsule Bluetooth Speaker and achieve maximum exposure for your brand. Minimum number of items in each order: 6 items. Click on the location(s) where you want your trucolor imprint to appear.